I have a little story about how the apple doesn't fall far from the tree. My parents have been telling me for the better part of two years that I have to eat at Just Dinner on Dunlavy. "It's so romantic!" "It's so cute!" "The food is great!" "It's BYOB!" "It's totally affordable!" "If you don't go now, we will actually disown you and never again acknowledge you as our offspring!" (if only I were kidding about that last one). So after hearing/enduring all of the praises mild threats, I finally made reservations for the bf and I to have dinner there the Wednesday night before Thanksgiving at 7:00. "Mom, Jon and I are going to Just Dinner Wednesday night at 7:00!" There was a long pause. Then my mother started laughing. "Wednesday night?" (yes) "This Wednesday night?" (uh-huh) "As in Wednesday the 26th, your father and I's anniversary?" (uhh..yes?) "We have reservations there at 6:45." I promptly changed our reservation to 8:00. And boy did we confuse the restaurant staff with their having two reservations under the name "Ogonosky" in one night, let me tell ya. 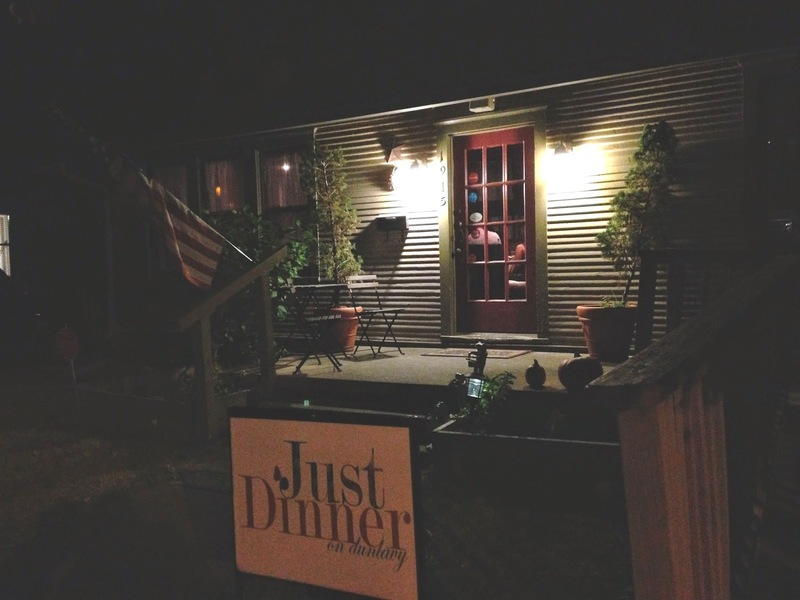 But my parents were absolutely right - Just Dinner is housed in an old, completely unassuming, charming bungalow on Dunlavy and Welch. With no more than roughly 20 [fashion magazine-lined] tables in the place, it's incredibly intimate and romantic. And delicious! And with a BYOB $10 corking fee, I was totally game! 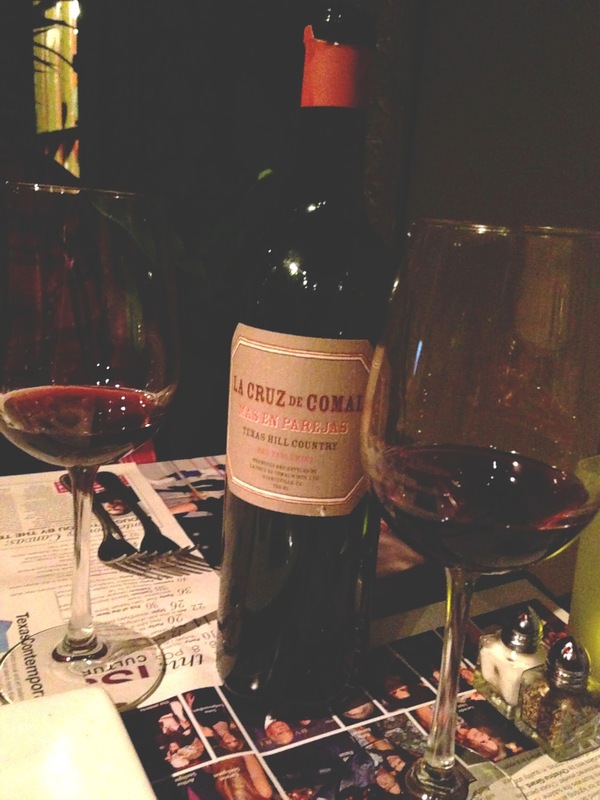 We brought a bottle we had acquired from our trip to the La Cruz de Comal winery we visited earlier in the month, and we enjoyed every last drop! 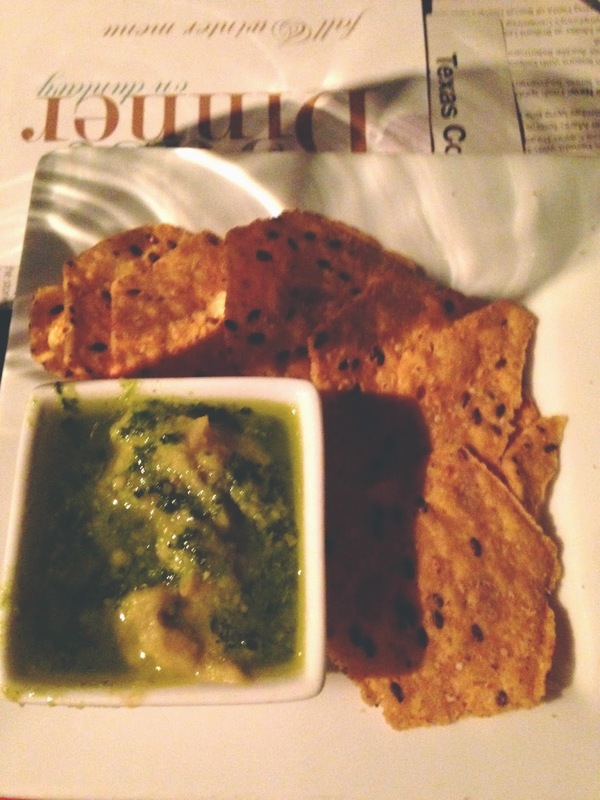 They started us off with these complementary crackers and creamy dipping sauce, which I believe was a combo of pesto and hummus, and which consequently sent me into a giddy tailspin. It was a lovely way to start everything off. I told our incredibly attentive and friendly server that I was debating between what I would like to start off with - the mixed garden greens or a side of the blue cheese polenta. "Oh I definitely recommend the mixed garden greens - that's what your mom started off with!" This was a good salad. But let me be clear - This was not a life-changing salad. When I read "pear, goat cheese, pistachios, and pomegranate vinaigrette" I was expecting something with a little more pizazz. It was definitely pretty to look at, but it was relatively ordinary tasting. 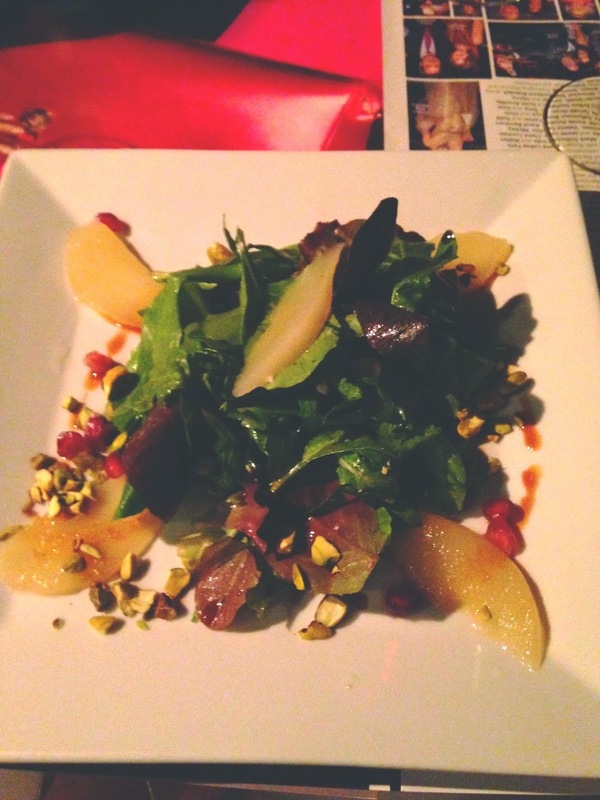 I think perhaps it was a little heavy on the sweet stuff (pear, pomegranate vinaigrette). Possibly a stronger cheese or a different nut would have made me love it more. 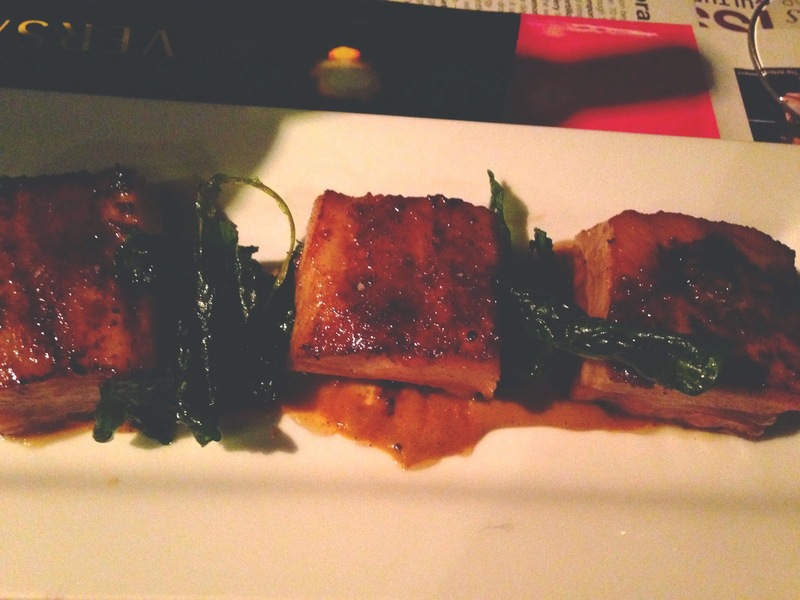 Jon ordered the pork belly appetizer, and based on his reaction, I'm pretty sure that was life-changing. I was also pretty sure that promptly after dinner he'd be leaving me to run off with a pork belly appetizer. And after having past pre-vegetarian life-changing pork belly experiences, I can't say that I really would've blamed him. For my entree I ordered the stuffed collard rolls. 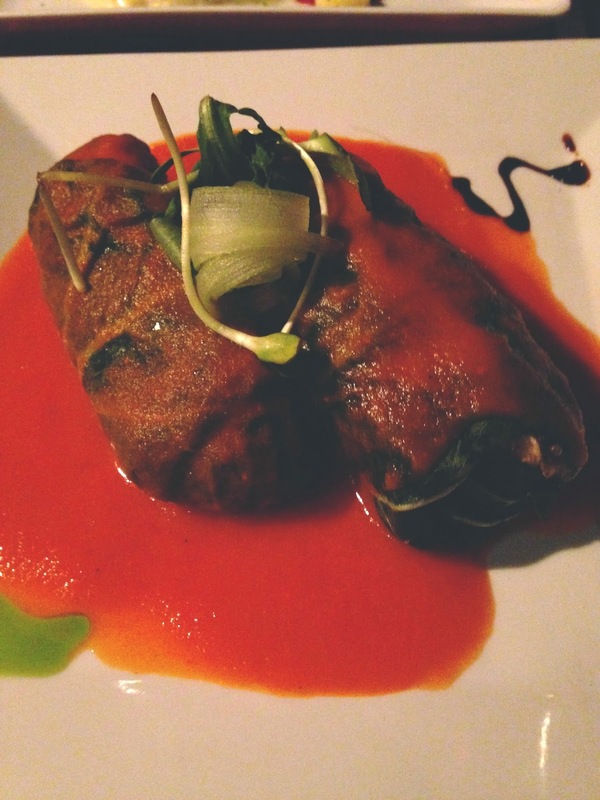 Filled with quinoa, black rice, and amaranth, and topped with a roasted red pepper sauce, this was a very unique and interesting dish. Coming form a Polish background, I was expecting something similar to golumpki (look it up, make it, and then give me some, thanks), but this was a much earthier dish. I liked the nutty flavors of the stuffing combined with the smooth zippy red pepper sauce, but I felt like the middle could have used something else to help bring it together a little better. Perhaps taking a cue from my beloved golumpki, the addition of a tomato paste would have worked well. I definitely enjoyed it, though I would probably order something different next time. I went ahead and threw caution to the wind and also ordered a side of the blue cheese polenta because I'm a risk taker. This was life-changing. Guys, I died. I mean, I really died. I died, and left Jon, and rode off into the sunset with a bowl of blue cheese polenta because it was that good. 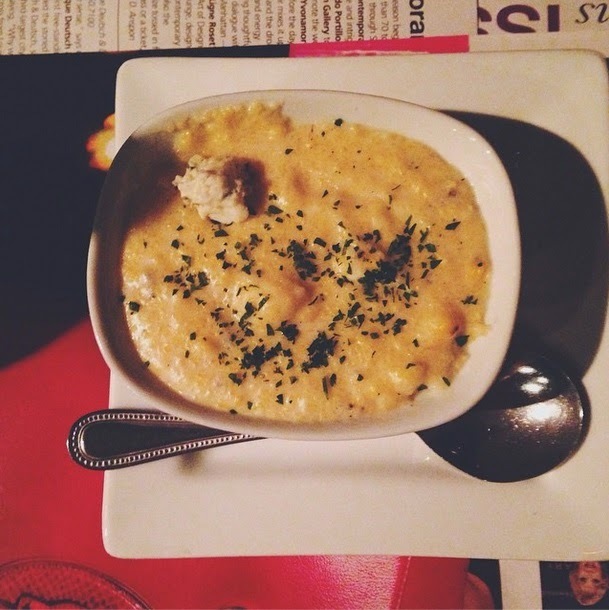 The creamy, buttery, smooth, rich, decadent, savory, velvety, masterpiece of a bowl contains the secret to life. It's for sure in the running for one of the best things I've eaten in the past year. Marry it now (I told you the place was romantic). After coming off of my polenta-induced high, I couldn't not order dessert. And after looking at the menu, I couldn't not order the gooey, rich chocolate cake which wouldn't not put me on another high and force me to use an offensive amount of double negatives. This cake was ooh-ahhingly, eye-rollingly, sensationally good. 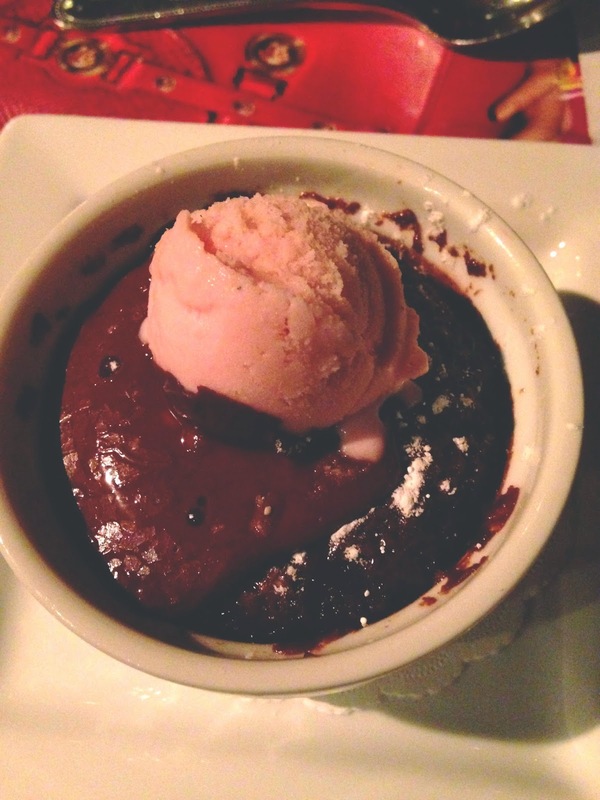 It almost, almost beat out the warm chocolate cake from Backstreet Cafe. So grab your spouse, your significant other, your best friend, or your favorite bowl of polenta, and make a reservation for the most charming, romantic, unassuming, delicious spot in town! Be sure to put your reservation under the name "Ogonosky."